Happy Friday loves and cheers to another weekend so soon! Linking up today with the lovely: Christina, April, Darci, Natasha , Amanda over at Meet @ the Barre and Karli with September Farm. Favorite post of the week goes to: Jenn @ Going the Distance for her hilarious theory vs. reality post. If you didn't catch it you can read it HERE Love her! Ya'll.. I seriously love staring at this picture all day while at work. Even though this was taken of her back in October- it is still my favorite! Love ya baby girl! Guess what time of the year it is?? (haha) Time to start re-watching Newlyweds with Nick & Jess! Whenever it gets close to Valentines Day is when I start to get the itch for some reason. Maybe I should wait until Andi gets here and introduce her? ... who am I kidding- I'll just watch em again. Painted the book shelf we found in the attic and I am loving it! More to come on progress next week! Your desk is so cute with that picture!!!! Love the lil shoes! Is it chicken....or fish?!?! I mean I know it's fish...but! Gah, love her and that show! You should watch the show Married at First Sight. Have you seen it? It's really intriguing. The mac and cheese...oh my goodness, I'm drooling!!! Thanks for the shout-out girl! Love you tons, soul mate! Have a great weekend!!! How cute are those little baby shoes?! Love it! 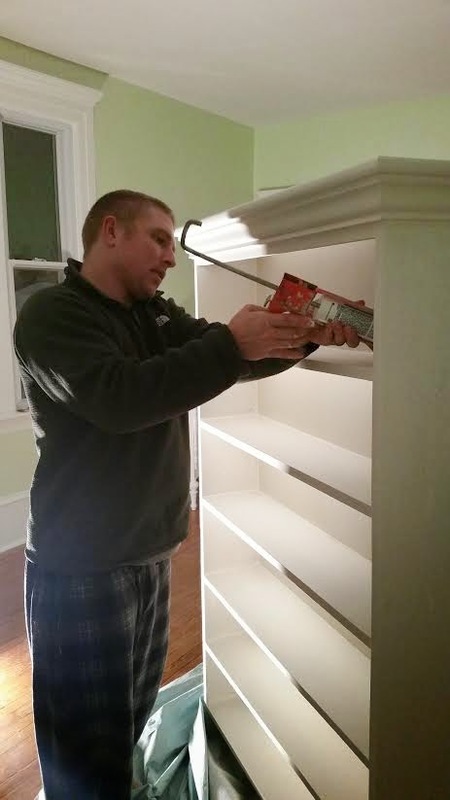 And that is awesome that you found bookshelves in your attic. I also got my package last night and I love it!! I love the baby sunglasses too - adorable! Thank you so, so much girl! Hope you have a good weekend! I am loving these sneak peaks of Andi's nursery! Can't wait for more! Love those little baby shoes. so cute!! I so love Newlyweds, I was kinda sad when they broke up. They were cute together. I love your desk with the photo and the shoes! So cute. :) That bookshelf looks so nice. Have a great weekend, girl! Yeah, I'm legit obsessed with newly weds. Still. I'll come watch with you! 1. I still love Newlyweds. I wish they were still together! 2. My daughter is almost ten and I still have my three month sono on the fridge. We have moved three times and I always bring it and put it back up. yay newlyweds rewatching! i havent watched in so long, i totally want to. jessica is hilarious. 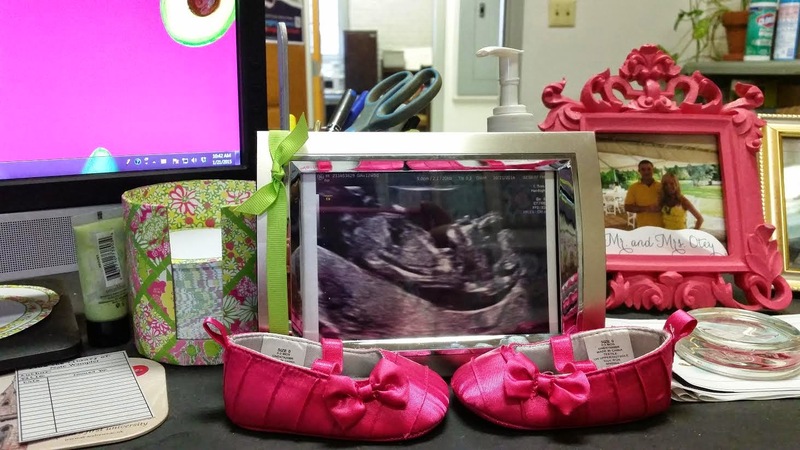 Love that you have the ultrasound framed on your desk! 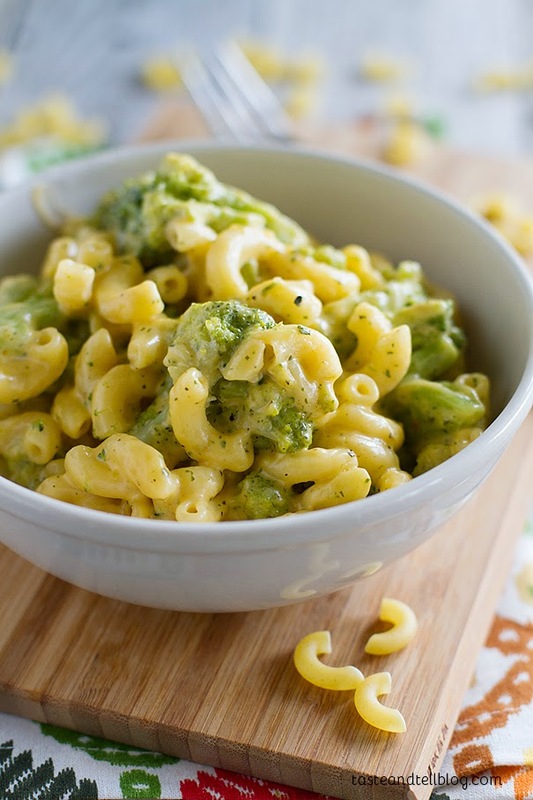 And that mac and cheese looks amazing! 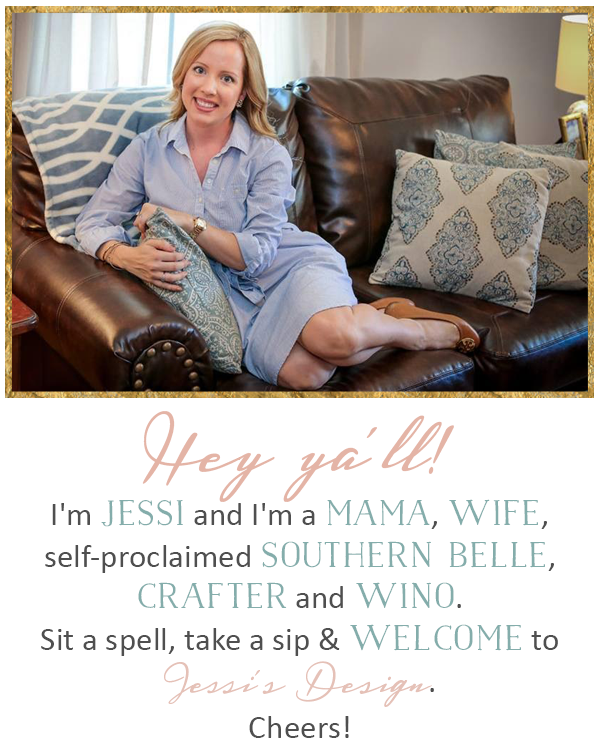 Happy Weekend, Jessi! That's awesome that you still watch Newlyweds! I loved that show! Oh my gosh Newlyweds! I haven't seen that forever! So funny. Love that you have the framed ultrasound at your desk. I loved looking at those photos so much. love your desk!! YOU always make me laugh with your JS obsession. the best. What a cute desk setup for sure! I kinda want to rewatch N&J all over again now hah. Hopefully T. disappears for a day soon ;) Happy weekend! Loving that attic find! Yet another reason i want to find an old farmhouse of my own one day. Happy friday! way to make your hubby work :) excited to see the finished product! You are hilarious. I was obsessed with Nick + Jess and have all of the Newleywed DVD's. I should join you and throw those in! =) I totally saved that recipe and want to try it out! Looks DEEELISH! I am cracking up that you watch Newlyweds episodes - that show was the best! Oooh that mac n cheese looks delish! Yay for the book shelf! Love it! :) As always, you guys are making so much progress! Your such good crafty/DIY folks! I'm jealous!